Listed below is the compilation of all of the questions and stories that those planning a wedding have asked, shared, or submitted as a response to our national writing contest. Topics range from education, to money, to relationships, to health, and many more in between. Do you have a wedding story to share about your experiences? Click the "Share Your Story" button to add your voice to StageofLife.com! Hey! My name is Sara and I am planning a wedding that is a little less than 5 months away. Talk about stressful? Well, not really. I have an awesome support system that has helped me along this journey. I also have a blog that focuses on faith, design and inspiration. Weddings are celebrations of love and joy. You can’t help but believe this universal fact instinctively, until you start planning a wedding for yourself, siblings, or children, and face the thought of the exuberant expenses that lie in its wake. One's wedding is a day to remember for a lifetime. It is said to be the most important day. Wedding planning is a tedious yet fun time for the whole family. Different members take charge of different functions such as transport, lodging, venue, catering etc. Guest entertainment is of utmost importance too. Carrie is my younger sister but also my best friend. We weren't as close until high school when we were in the same dance class and youth group at church. Before that, Carrie was considered the "good child". I was always the troublemaker getting punished. Carrie was a momma's girl, always loving to snuggle or make up funny handshakes with her, which made me secretly jealous. Do You Take Wedding Superstitions Seriously? The color of your wedding dress isn’t white? Aren't you going to wear veil? Your groom has seen the wedding dress before you walked up the aisle? Are you insane? Your marriage is doomed. This is a bride’s worst nightmare. The best way to plan a perfect wedding is to plan the wedding banquet, designers for the clothes and the wedding photography services who will be the best to bring out the essence of love in the wedding preparations to perfection! Planned weddings are becoming very popular at present, as more and more people prefer them over the frivolous expenses in an unplanned one. Social networking sites and dating apps have come a long way in connecting people living thousand miles away. The idea of finding love online has become popular even in the deeply conservative nation like ours. Today, we do not have to face raised eyebrows on the mention of online dating, and these dating apps have become as common as matrimonial sites. Trending Overseas Wedding Photography Services and More! With the rising trend in destination weddings, people have started using overseas wedding photography services. The best way a couple can remember and cherish their pre wedding moments and the wedding day celebration is by the medium of photographs. Two of my closest male friends married this past weekend here in beautiful Saint Andrews By-the-Sea. It was my distinct honour to be Master of Ceremonies at one of the most spectacular and beautiful celebrations of marriage one could ever imagine. There was a gigantic beautifully decorated tent, 200 guests from far and wide dressed to the nines in black tie and stunning dresses, delicious food, a 21-piece big band, perfect weather and an outpouring of love and friendship. January 1, 2015, marked 21st of our wedding anniversary. On that day, I promised to go forward without looking back, prepared to face the rigors of marriage and settle as a responsible man. Before then finding or choosing the right woman to be my future partner was like a nightmare, taking into consideration the number of people getting divorce everyday after tying the knot. Recently I was asked to help coordinate a wedding for friends of mine. I was also an invited guest, which made for a full afternoon and evening of celebration. As most readers know, I am somewhat of a traditionalist when it comes to protocol and etiquette. However, a wedding is one area where flexibility is much more the rule than the exception. Once upon a time, there was a bride and a groom. The groom was wise enough to celebrate his bachelor party a couple of weeks before the wedding, but the bride was careless enough to have hers right on the eve of the celebration. It’s good she did though – there would have been no wedding story without it. My unenthusiastic response, “OK.” I had always assumed my child would love to pick that song himself--to show how much our relationship meant to him. “One more reason to feel left out of this whole wedding,” I grumbled to myself. Wedding Buffet v/s Personal Choice: Which is Better? Our wedding is almost 5 years in the making and with that, I have proven that the best things happen to those who hold a fervent hope in their hearts and wait patiently for it to happen. Nothing in life could have prepared me for love. It's selfless, ravishing, and completely spontaneous. One cannot simple look for it, for it finds you when you least expect it. How can I tell my stepdaughter that I don't want any role in her upcoming wedding? running hare.On that day i could still remember what i did and what i faced,firstly i got myself dressed up,secondly gift were packed into the cars,then lastly we drove to the event venue,I would have met my bride there but unfortunately for me, she wasn't there. The weeding will commerce soon``the pastor said. Fall weddings can be absolutely beautiful. The hustle and bustle of summer has relaxed into a season of gratitude for the bounty of the harvest. This easily translates into the bounty of close friends and family with whom many of us want to celebrate one of the most important days of our lives. Decorating with beautiful autumn colors, pumpkins, decorative gourds, and fall flowers such as Asters and Zinnias can make a beautiful seasonally colorful backdrop to your important day. My hands are clammy. I sense the ivory fabric of my corset clamp down my breathing. The car window is open a crack for me to breathe in the recently mowed lawn of the park. White chairs are set up in the grass, forming an aisle of tension I would walk. The driver’s door slams shut but I don’t stare up. I’m focused, focused on the sweat on my palms. My dress isn't a solution for wiping- not with the beaded lace covering it like a frail spider web. So I did it. After a year of agonizing over every little detail, my dad walked me down the aisle and I married my high school sweetheart. All I can say is: whoa! This month I want to discuss thank you notes. In this age of high-speed communication, we are always looking for ways to economize our time. One way we think might be helpful is to use social media, emails, or texting to thank people for the gifts they have bestowed upon us to celebrate our nuptials. To be clear, this is neither appropriate nor acceptable. Many couples want to celebrate their big day by giving their guests a gift to remember the occasion. This generous gesture signifies the gratitude they have for those who attended the wedding as well as the thanks they feel for their marriage to one another. The originality of these tokens can range from something as simple as a place card holder to a bottle of homemade wine or another personally crafted gift. Remember it is not the gift as much as the gesture that people will remember. Weddings are a celebration if ever there was one! With almost all such celebrations, alcoholic beverages play a role. Barring the rare ‘dry’ wedding, champagne and open bars can become a major budgetary concern. Because of the high cost, some wedding hosts opt for a cash bar. Although this is a matter of personal choice, I think a cash bar at a private party is ill advised. How Have You Added Originality at Your Wedding? Originality is one of the wishes many couples want for their wedding. 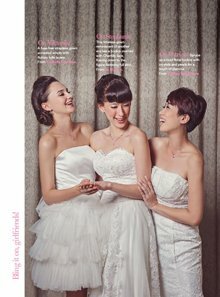 From a traditionalist’s point of view, I advise keeping originality to a dull roar; however, I helped coordinate a wedding recently that left me wondering about my own limiting beliefs and how they may have influenced decisions I have made over the years when advising young couples about their wedding plans. So right up front, I freely admit, I stand corrected! Here are a few details I had never considered. March came in like a lion and out pretty much the same way, with me having no good excuse for not contributing a column last month. This month of April however is a whole other matter. I am helping to coordinate a fairly large family wedding. By coordinate I mean being the etiquette cop to make sure the bridal party and invited guests get in and out of the venue in the right order, at the right time, and all smiling. How Much Do I Have To Spend? Top Five Eye-Wateringly Expensive Weddings. If you're planning a wedding this year, the first port of call is to seek inspiration from the world of fashion, film and TV. Whether we do this to feel better about ourselves or if we do it because we love to revel in a world just out of our grasp; for whatever reason we love a celebrity wedding. What is more we love an over the top and ridiculously expensive celebrity wedding. The new year is well under way and Christmas is all but a distant memory, which means only one thing: Valentine’s Day is almost upon us once more. That’s right, the day for lovers hits again on 14th February and couples the world over are hoping to celebrate in style. If you’re struggling for a way to say I love you like never before, why not take the plunge and book a romantic getaway for two? Here are the best destinations that all starcrossed lovers are sure to enjoy. Sitting in the middle of frigid temperatures and a storm warning, the idea of a lovely sun-filled day in the ideal place for your wedding may be quite a stretch. My research tells me that many couples decide to tie the knot over the Christmas season. Congratulations to all of you who have done just that! Every girl dreams of a dashing man sweeping her off her feet and carrying her away into the sunset! So, why don’t you give your wife-to-be something along similar lines? Wedding car hire has been making dreams come true for ‘GUYS and GALS’ for many years now and you too can benefit from such services. What is Up for Hire? Our story is a long one, it lasts 13 years, so I will have to start from the very beginning, as if it were a fairy tale story. A chance of a lifetime! That’s how most of us look at weddings. We want ours to be perfect, original and fun. The only way this can possibly happen is with careful planning. I'll be the first to admit: I've been a bad bride. I've spent most of my engagement (two years of it) worrying about spending money I don't have. I first wanted to spend $5k. This, of course, was laughable, unless I wanted to do something really small or elope. Thankfully, my fiance's parents stepped up and offered us $3k, which brings us up to a grand total of $8k. Still not much, but it was workable. Goal Setting: Remember to take a breath! I have proof that even a great proposal can have little mishaps--mostly because unsuspecting brides like myself don't understand why their usually flexible partner is suddenly very inflexible. Allow me to explain. Mommy, you and I have always been close, just as you and your mother were always close. We have similar interests, enjoy similar activities, and think alike. We also apparently look alike, too -- complete strangers regularly tell us that we're clearly related. When I think of weddings, I think of delicious cakes and finger food and expensive plates with small portions of food (assuming you can see your food from underneath the large center pieces). I wouldn't imagine ever cooking for my own wedding, there's just so much going on that cooking shouldn't be the bride or groom's responsibility. But maybe, if you need an idea or two of what to serve, this post can help you out! My older sister, bless her heart, got engaged to her now fiance in November, and has set the wedding date to some time in 2015. Don't get me wrong, I am super excited for my sister because she's about to embark on this huge journey in her life with her fiance, and it's an exciting time for everyone involved. However, in being an outsider, I can see certain problems. Getting Married at 23 and Still at University? It is Possible! So your loved one has just proposed to you. The future is looking bright and rosy, you are thinking about your future you will have together… once you have completed your studies. Is it possible? Our Story - A Love story which started 22 years ago. It's said that the chain of destiny can only be grasped one link at a time. Everything is determined, the beginning as well as the end, by forces which we cannot control. This weekend, I attended a breath-taking wedding in Pennsylvania. I wasn’t sure what to expect since the last wedding I attended was decades ago and I can barely remember much, but this one will be very difficult to forget. Stage of Life is proud to announce its latest endeavor - the development of the first mobile storytelling game! For the last three months, we have been putting our creative efforts into drafting Writing Race, a multiplayer story writing game for Apple iPhone where friends will collaboratively (or competitively) write a story together using their mobile phone. As I promised, today I am going to narrate how that summer when I met my girlfriend (now my wife) came to an end and something unexpected happened. Can anyone help with a wedding issue? I have a huge issue about my wedding. I'm getting married in three years, maybe two it's up in the air. But the problem is my hubby's family lives in Illinois. My family lives in Pennsylvania. How in the world are we able to pick a place to get married so both families can attend? And also we are a Pagan couple. Does anyone know a pagan legally ordained person to marry us legally? How Many Women Suffer from Post-Nuptial Depression? In the United States, there is a great deal of importance placed on wedding days. And the more emphasis there is on the executing a grand event, the more pressure that exists for those who are planning said wedding. With the recent explosion in the wedding business (experts estimate it is worth over ten billion dollars per year) has come a greater stress to create the perfect day. Premarital counseling is the best way to become better prepared for the many challenges you will face in your marriage. During counseling we will help each partner to express themselves on each topic. Premarital counseling will teach you the techniques needed to prevent, better deal with, or discontinue any difficult habits and unhealthy patterns that can be hard to break once they are well established. I close my eyes and daydream what my wedding will one day be like. What dress will I wear? What color will it be? What fabric will it be? Where will my wedding be? When will my wedding be? What kind of ring will I have? I wonder about my marriage. Or will it be like a king and queen riding in a carriage? while the son is going craze? and love-struck eyes meet in an endless stare? In the morning of my wedding day, I looked calm, but those butterflies in my stomach were fluttering their wings. When I was young I feared that I would never marry, now that I am older I find that I can look back on the fear with amusement. I remember fearing the “old maid” status and as it fast approached, I tried to convince myself that I didn’t care. I told others that I was ok being single because I had done so much with my life that others had never been able to do, due to the ‘marriage’ status they held. I also learned, at this time, that most people who say “single and loving it” are usually lying. Then and Now: When I Was Young, Marriage Eluded Me. Now, I Am Preparing To Tie The Knot! When I was young, I saw marriage as a means to an end. I fell in love with my husband for many reasons, not the least of which was his stability and the fact that I believed he would be a great father, which he is. Marriage was not as much about one man, one woman as it was about creating a family, the family I had dreamed of since I was a little girl. If you are the person planning the bridal shower you may be feeling stressed but there is no need. This can be one of the most exciting things you have ever done and you will be part of bringing joy to the bride as well as the guests who are more than happy to attend and bring a gift for her. Here are some tips to help make the planning less stressful. "My wedding photography business is failing!" That was what I was thinking just over a year ago. I was stuck in a rut, doing the same old marketing techniques that I had been doing for years. The same ones that almost every other wedding photographer in my area was doing. Getting married in on the beach in a lush tropical resort is a dream come true for many brides, and one reason why tropical destination weddings are enjoying such a surge of popularity. From the beaches of Florida and California to exotic locales like Belize and Costa Rica, it seems that destination weddings to tropical resort locations have never been more popular than they are today. Giving a Maid Of Honor Speech - Simple Tips You Can Use Right Now! What is the biggest stress women face while planning their wedding? According to a survey done last year, the biggest challenge (read stress) women face when planning their wedding is the fear of going over their budget. No matter if they are planning a small wedding, or a big bash, brides-to-be know how easy it is to get carried away adding little extras, or how last minute changes or substitutions that can break the bank. A very popular idea to use at a wedding these days is having a slideshow for the guest's entertainment. Of course the slideshow is focused on the couple to be married. 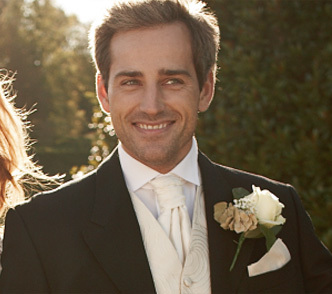 It is a sentimental gesture that is sure to leave everyone who is attending your wedding in stitches and in tears. Chances are, if you have already gone shopping for a wedding invitation, your eyes almost fell out of your head with all the choices available to you. You can make the whole process a lot easier by deciding the theme you want for your wedding day before you start to look for perfect invitations for your special day. When preparing for your wedding day there are many decisions that need to be made such as your wedding date, location of your wedding reception, wedding cake, wedding dress, tuxedo, wedding invitations and wedding guests to name just a few things. Once you have all that in order you will need to decide on what is the perfect wedding favor souvenir that you like to present to the many friends and family who attended your special day. It's the big one. You want it to be right. You want everything to go smoothly. You want to remember it fondly...forever. Something like that doesn't just happen. You have to dedicate time, effort and energy to create the perfect wedding. You can do it, but make sure you give yourselves enough time--and money!--to create the most memorable, beautiful, perfect wedding for each of you. After all, the memory will last a lifetime! I saw this great Hotel Reservation web site on reserving hotels. I know it could be useful to you. Your wedding may be just a few months' away. Do get a booking for your honeymoon fast to avoid disappointment. I want to share with you, especially when you are now considering how to book your honeymoon with the least inconvenience. Wedding favors are an important part of the reception. Every bride wants to make sure that their wedding favors are memorable and fun. If you're trying to decide on the perfect memento, why not consider edible wedding favors? Your edible wedding favors will be unique and tasty, not to mention that you won't have to worry about whether they'll be thrown away afterwards. If you have a lot of wedding guests arriving from out of town you may just find the following pieces of advice useful. When customers purchase wedding rings at cheap rates, the risk of purchasing a non-standardized piece considerably increases. Hence, it is essential to make certain that jewelry stores selling at discounted prices hoard genuine rings and are not selling fakes. Sponsored weddings have become increasingly popular in recent years. A sponsored wedding is one where much of the wedding costs are offset by allowing a particular business (or businesses) to advertise in some manner during the wedding ceremony or reception. What are wedding favors and why do you need them? This is a question that I hear all to frequent. Wedding favors or party favors are small gifts that are given to your guests to show your appreciation for your family, friends and guests for dealing with your Bridezilla moments. Wedding favors are often theme related and add that little extra touch to your decor.